The FuMP is proud to present a new free compilation of what we feel are our best songs of 2018. Members of the FuMP Core got together and voted on our favorite songs and this was the result. Hear Lauren Mayer's viral hit "The Sexual Harassment Prevention Song." Three of these songs were featured on Dr. Demento's year end Funny 25 countdown of the most requested songs of the year. 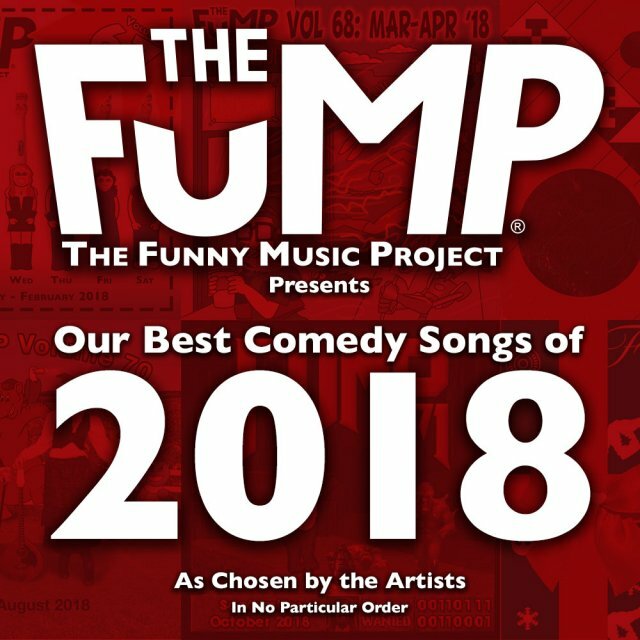 Carrie Dahlby's song "Don't Talk About Size" was number 21 and is also featured on the new Madam Opus CD of funny songs by female artists. "Tickets for Weird Al in Sarasota" by Jeff Whitmire was number 13. And "It's Hot as Balls Outside" by Cirque du So What came in at number 5. Download this free compilation now to get a sample of the great music we put out in 2018. And here's looking forward to a fantastic 2019! Unlimited downloads and more, starting at just $4.99! Have a funny song you'd like to share? Submit it for consideration or post it to The Sideshow. Join Devo Spice and Luke Ski every Thursday for interviews, music, news, and more. A full weekend of comedy-music! Hear our songs as they are posted in your favorite podcast software. Are you an on-the-air DJ? Register to get high quality radio edits of our songs. Are you a podcaster? Register to get download access to all of our songs. © 2019, FIDIM Interactive, LLC. All songs posted are licensed under a Creative Commons Attribution- Noncommercial-Share Alike 3.0 License. Contact us. Frequently Asked Questions. Return And Refund Policy.